I have not attempted this workout for nearly a year, and today it showed. I decided that it was time to really get back into my training and that includes doing this workout once a week. My previous best is from a year ago and was 11:57. If I remember correctly I am pretty sure that I stepped deep into the pain cave that day. I felt it today but was only loitering in the pain cave's foyer. If you have played around with kettlebell's before and want a challenge or something different, this will do it. 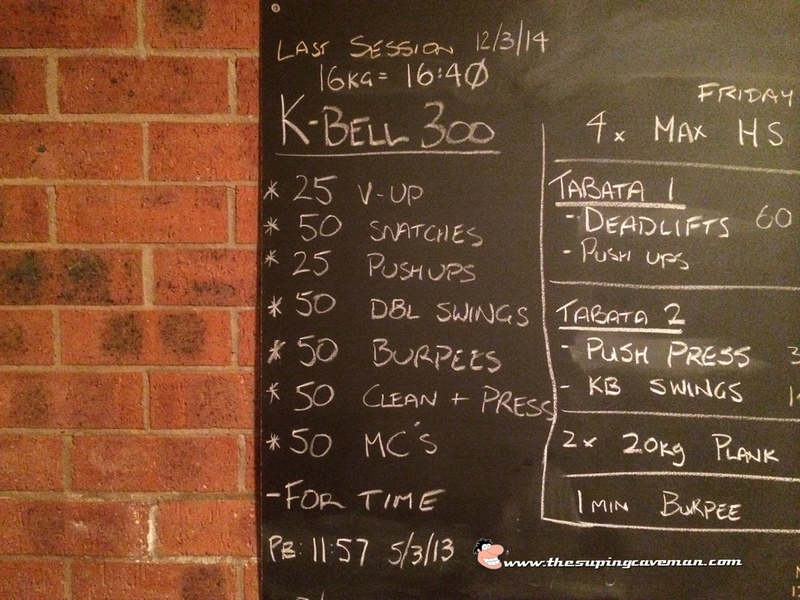 If you haven't used kettlebells before then I suggest that this is not the first workout you choose. Maybe start with some med balls.